Sure, Rachel Dawson knew that GPS could tell athletes how far they had gone. 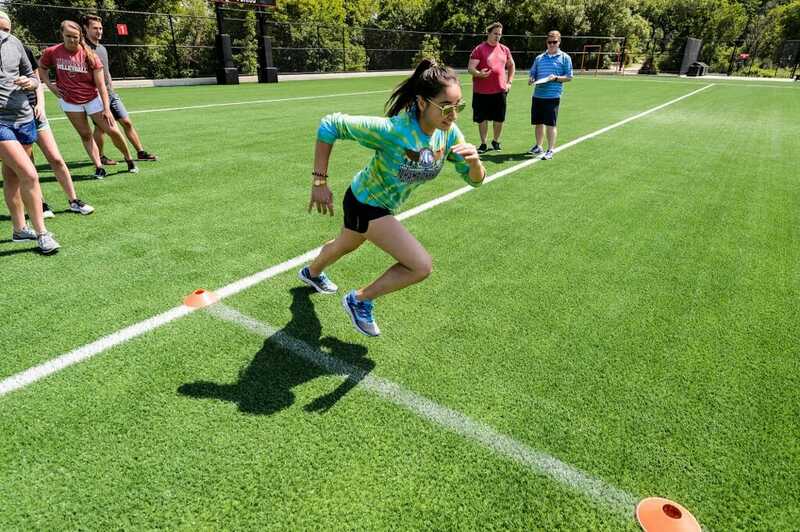 But she had no idea that it could also show how fast an athlete accelerates or decelerates, or how far or high they jump. “I knew nothing,” the senior kinesiology major said. 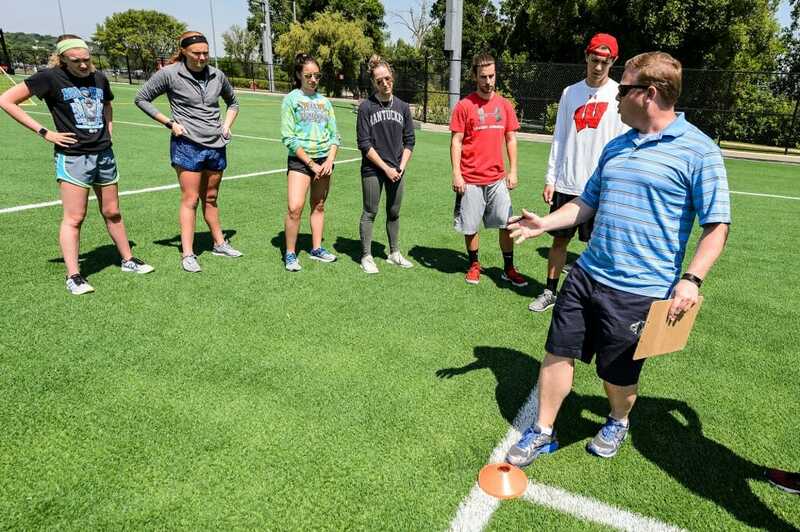 That’s just a sampling of what she’s learned in “Sports Science & Athlete Monitoring,” a new three-week course taught by David Bell, an assistant professor of kinesiology at the UW–Madison and the director of the Wisconsin Injury in Sport Laboratory. 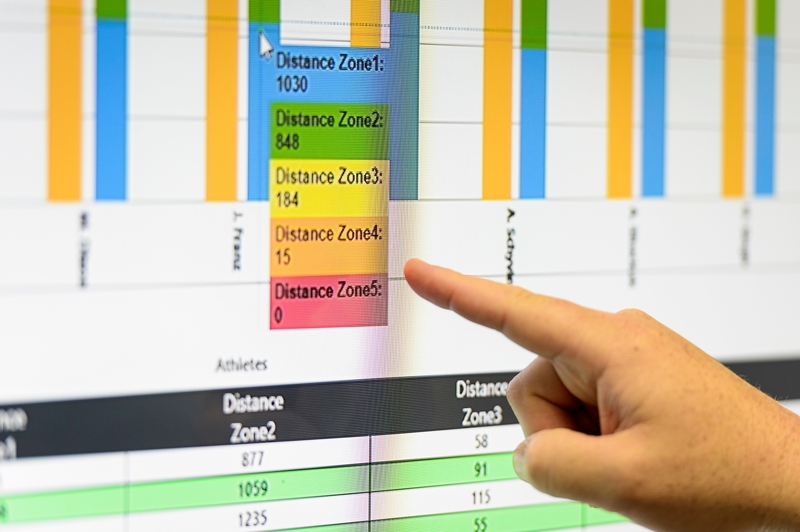 The upper-level summer term class focused on the most popular technologies in the field of human performance in an effort to teach UW–Madison students how to collect data, interpret the information and use it in a meaningful way. 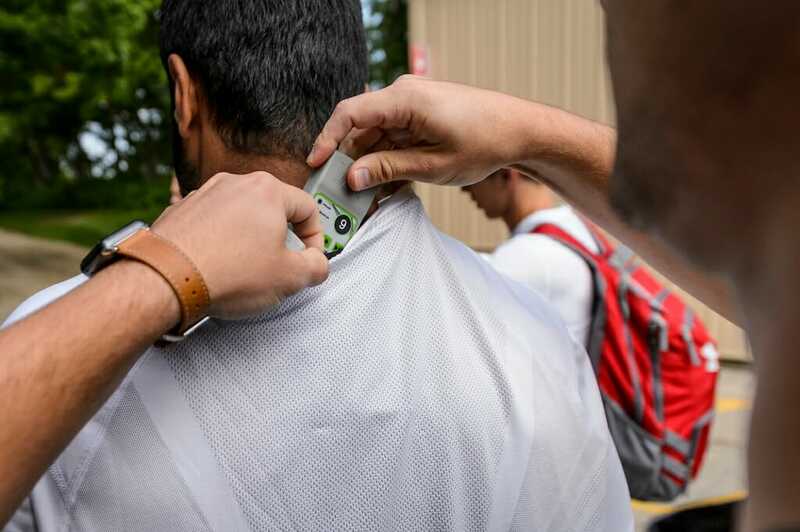 Throughout the class, which just finished, students used GPS trackers during activities including basketball, flag football, Ultimate Frisbee and Capture the Flag. 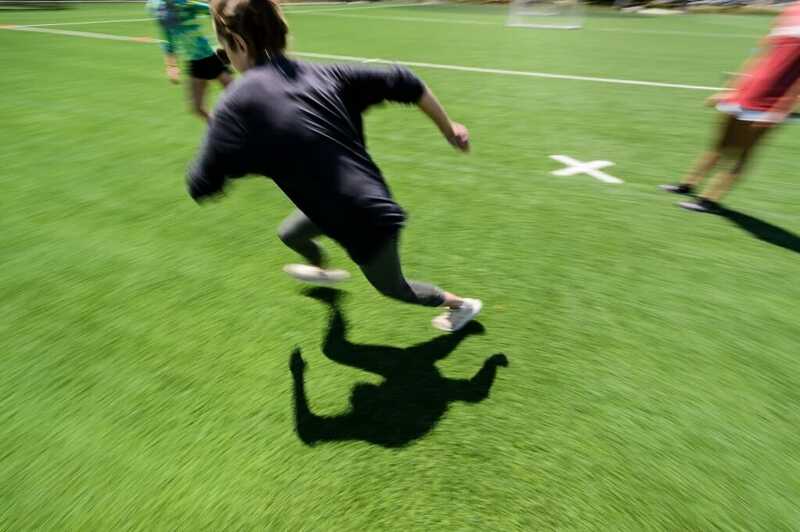 The data shows during one activity that one student ran 53 meters at more than 12 miles per hour. And another speedy student ran 12 meters at more than 17 miles per hour. Students take the data to create graphs and charts that they can use to determine what needs to be worked on. 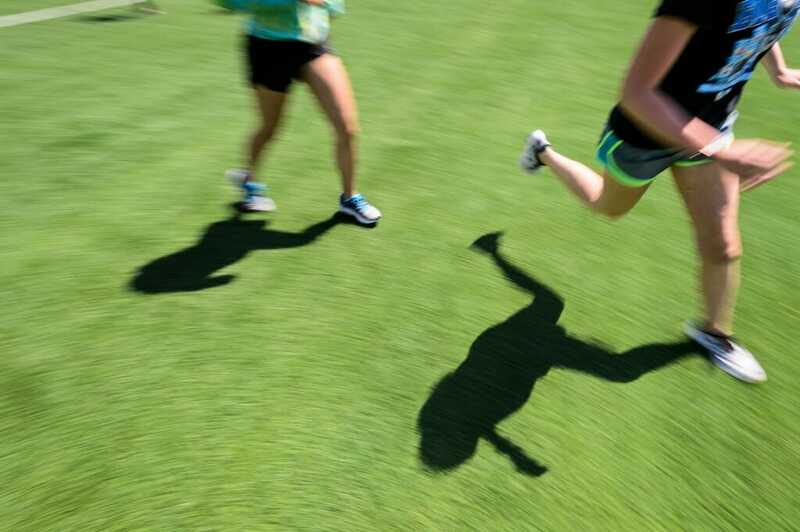 While high-speed running is important, too much can lead to injury. Too little can lead to lackluster performance on the field. Most of the students in the class plan on going into athletic training or physical therapy. Technology can aid both, says Dan Schaefer, a third-year doctoral student who serves as a teaching assistant for the class. The data showed Dawson something she’d already suspected – her left quad is weaker than her right quad. 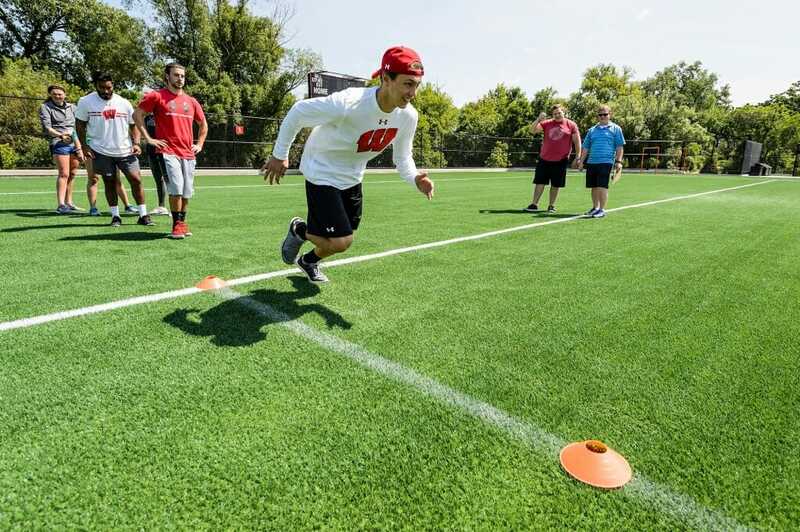 Alex Shuchuk, a senior majoring in kinesiology, was always interested in sports science. He had a knowledge of technology used with athletes but didn’t have a greater understanding of analyzing all the data. For Shuchuk, the data showed him what he could work on. “I could probably get a little faster,” he laughed. Couldn’t we all? But whether you’re an Olympic sprinter or training for a local 5K, technology can be a useful tool. While it’s being used for college and professional athletes, technology is no stranger to amateur athletes. The beeping from a sea of runners’ watches at any race will tell you that. 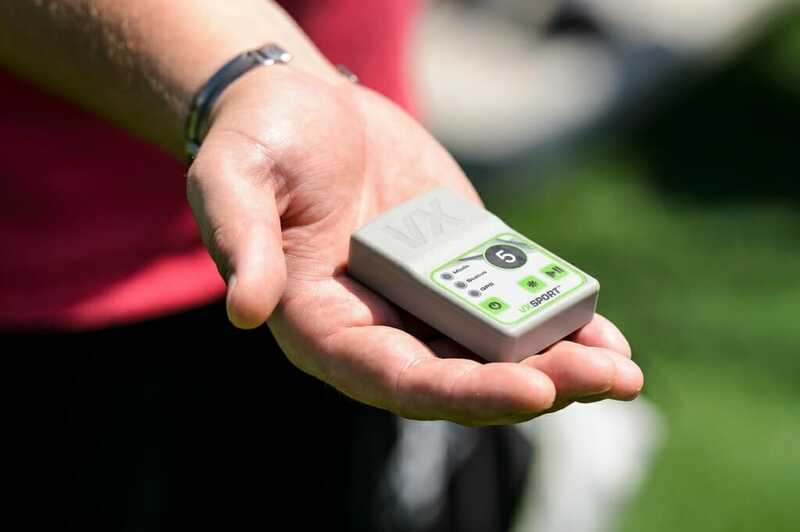 Some of this technology is already being used by amateur athletes and more will likely come. 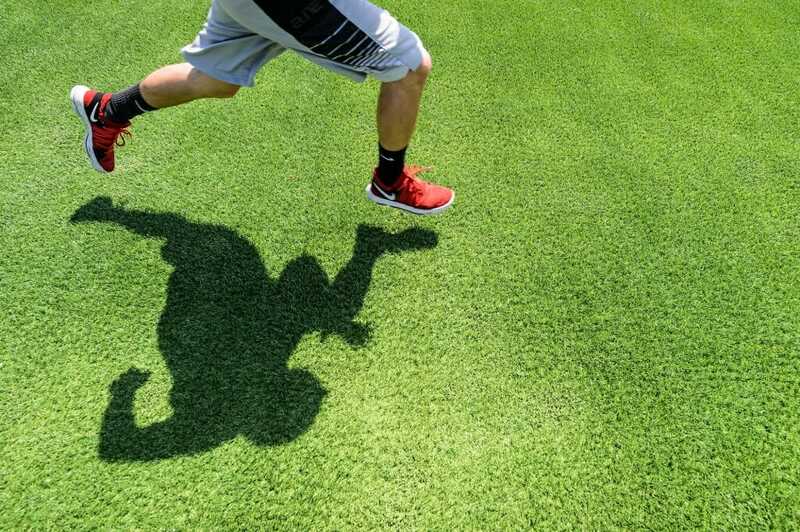 That’s one of the reasons Bell wanted to teach this course, the only one he knows of that combines technology use and athletics that is aimed at undergraduates. 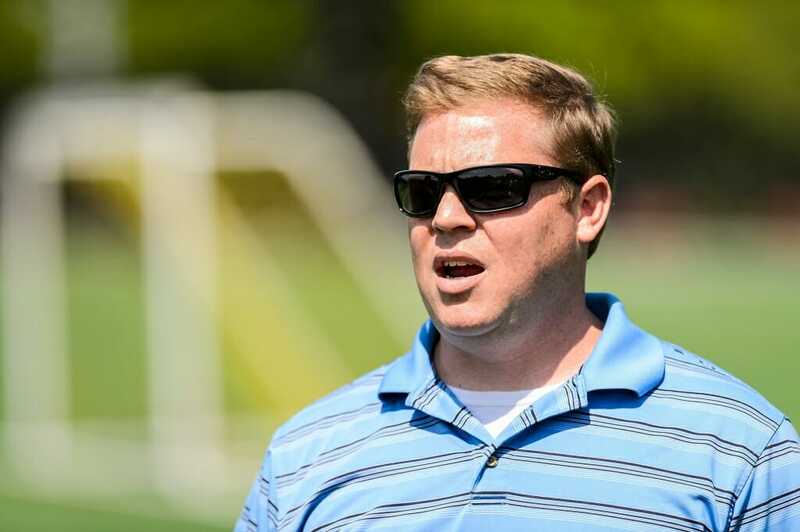 As an athletic trainer, Bell has been trying to predict injuries for nearly two decades. Technology is a valuable tool – but it’s just a tool, not magic. And while technology can be a motivator, whether we’re tracking our steps or tracking our miles, it’s not going to sweat for you. “You need to have these expectations of what technology can do for you and they need to be measured expectations,” Bell says. So use the technology. But do the work. Track what you want to change, Schaefer advises, and make sure you have the right tool. If you want to jump higher, don’t buy a heart rate monitor. If you want to run farther, make sure you have an activity tracker that tracks distance.